VLAC research student Jo Stoner has been looking into the more personal objects that were kept within the late antique home. Her work has revealed that alongside the functional and practical objects used on a daily basis, there would also have been possessions that were linked to personal identity and the family. The exchange of gifts between family members was common in this period – especially on important social occasions such as marriage. A note surviving from late antique Egypt records the giving of a flagon of wine to a son on his wedding day as a gift from his father. Other kinds of things that would have been given as presents at weddings are also listed by the fourth-century writer Ausonius, and include jewellery, clothing and silver plate. The Hunting Plate from the Sevso Treasure [source]. These kinds of possessions were also passed down through families as inheritance, to become family heirlooms. The late antique hoard known as the Sevso Treasure includes a range of silverware – one object of which appears to have been intended as an heirloom piece. 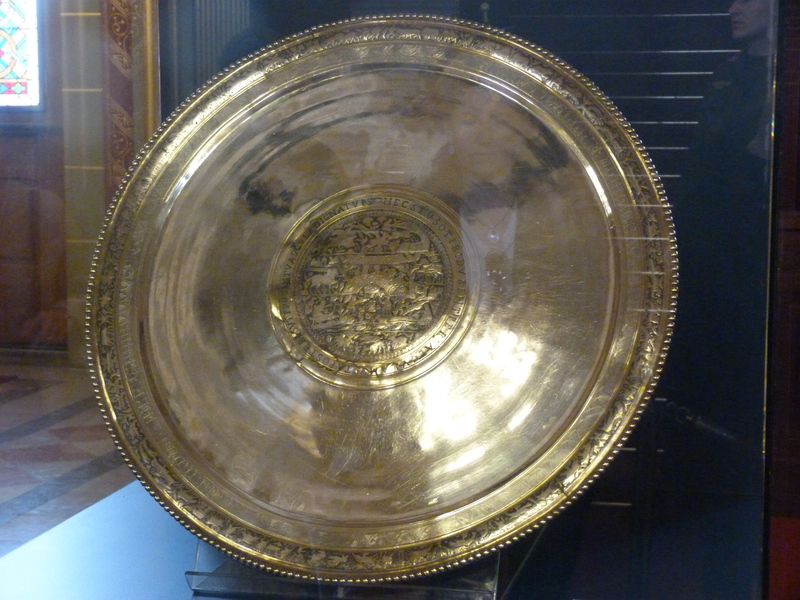 The Hunting Plate (above) features an inscription expressing hope for the future use of the object by the owner’s descendants, implying continued ownership across generations of the same family. Late antique legal codes also refer to how jewellery set with coins could be inherited as heirlooms. Coin set jewellery was very popular during the late antique period, with many examples surviving to us today from across the Empire. 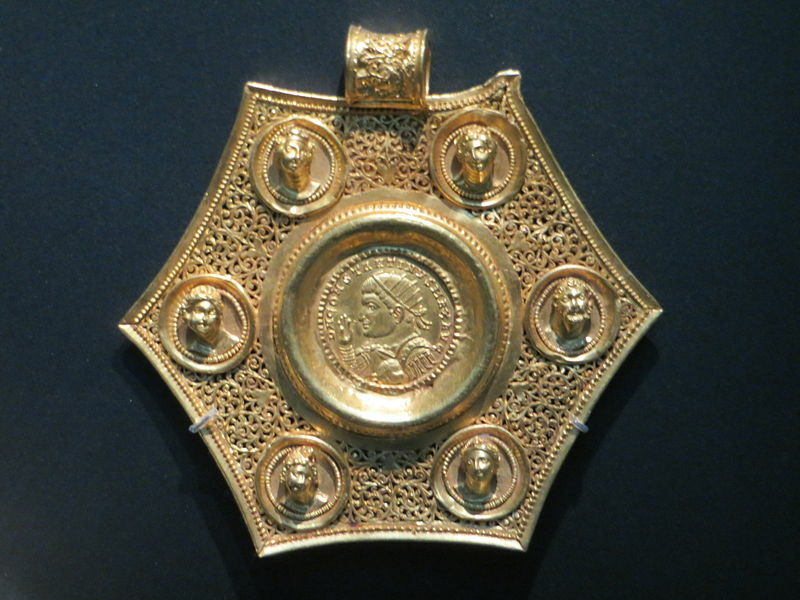 Fourth century gold pendant featuring coin of Constantine the Great [source]. Coin jewellery in particular worked well as heirlooms, as they preserved a fixed economic value through the coin’s denomination but also referred to the past and the object’s heirloom status through the noticeable age of the coin. Jo’s work has revealed that many of the kinds of possessions kept in late antique homes were important on a personal level to their owners, often because of their connections with other family members or important events. Memory and material culture was closely associated within the late antique period, and objects such as gifts and heirlooms played an important role in creating and sustaining family identity.